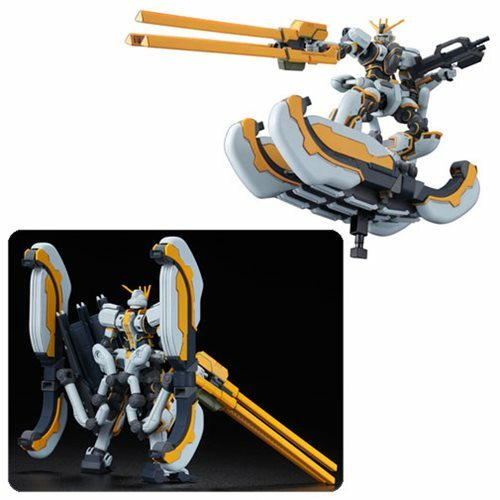 The amphibious Gundam piloted by Io Fleming is now available in the HG Thunderbolt series! The Atlas Gundam, the central MS in the second season of the anime, has been made into this Gundam Thunderbolt Atlas Gundam High Grade 1:144 Scale Model Kit, with distinctive equipment. The rear-mounted sub legs can be flexibly moved utilizing spherical joints, enabling various shapes to be recreated. Every weapon is included, and the 5-inch tall MS can be displayed fully equipped to land combat specs. The set contains 2 beam sabers with beam blades, a railgun, a blade shield, 2 assault rifles, sub legs (left and right), 11 runners, a foil sticker, a marking sticker, and an instruction manual. Ages 15 and up.